It’s rare when a fashion retailer can stay relevant for a long time. However, that is exactly what American Eagle Outfitters (NYSE:AEO) has managed to do. I remember first noticing the company from articles on Fool.com, and hearing the company compared to Abercrombie & Fitch Co. (NYSE:ANF). Taking a page from Peter Lynch’s investing process, I decided to visit my local mall to see if the stores were busy. The stores were both packed, and when I looked at each company’s balance sheet and earnings, everything looked good. With positives all the way around, I bought shares in both companies. Unfortunately, I realized that analysts were a little too optimistic about earnings growth, and I sold the shares within a year. Like Peter Lynch said, in the fashion industry there seems to be a tendency to overstate how well things are going. He said that even in a terrible environment, a company in this industry will say their sales are okay. If the environment is slightly better, they will say sales are terrific or unbelievable. This same attitude seems to have followed over to the analysts that follow the industry. When I see that the average analyst expects Abercrombie & Fitch Co. (NYSE:ANF) to post 19%+ EPS growth over the next few years, I can’t help but feel I’ve seen this before. About five years ago, analysts were expecting this company to turn in 20% EPS growth, and instead Abercrombie & Fitch Co. (NYSE:ANF) showed an EPS decline of over 18%. The good news is, analysts who follow companies like American Eagle, The Gap Inc. (NYSE:GPS), and The Buckle, Inc. (NYSE:BKE), seem to have more reasonable expectations. When you combine reasonable expectations with good companies, you usually get a winning investment. 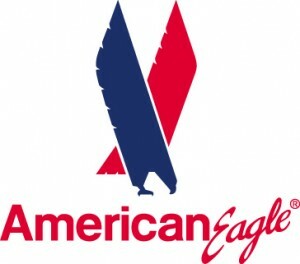 The average analyst expects 11.75% EPS growth from American Eagle over the next few years. In 2012, American Eagle turned in 9% revenue growth, and with the company expecting to expand internationally, this type of top line growth makes around 12% EPS growth a reasonable goal. In fact, American Eagle Outfitters (NYSE:AEO)’s international expansion is the first of my five reasons to consider the company. American Eagle only has 49 international franchised locations, and expects to “open a series of AEO stores in Eastern Europe, Northern Africa, and various parts of Asia.” These locations don’t require the capital investment of a company owned store, and should provide a boost to the bottom line. A second reason to consider American Eagle Outfitters (NYSE:AEO) is the company’s strong momentum in same-store sales. In the last five years, American Eagle has shown consistent improvement in their same-store sales. From 2008 to 2012, the company saw same-store sales move up in a straight line from negative 7% comps to positive 9%. A third positive in buying American Eagle Outfitters (NYSE:AEO) is more of their current market cap is represented by cash than their competition. This higher percentage might make sense if American Eagle was burning through money. However, the company is generating positive free cash flow, and this difference relative to their competition doesn’t seem to make sense.